In 2012 the Ministry of Education asked private schools and companies to adopt a primary school in a remote area to help develop it. 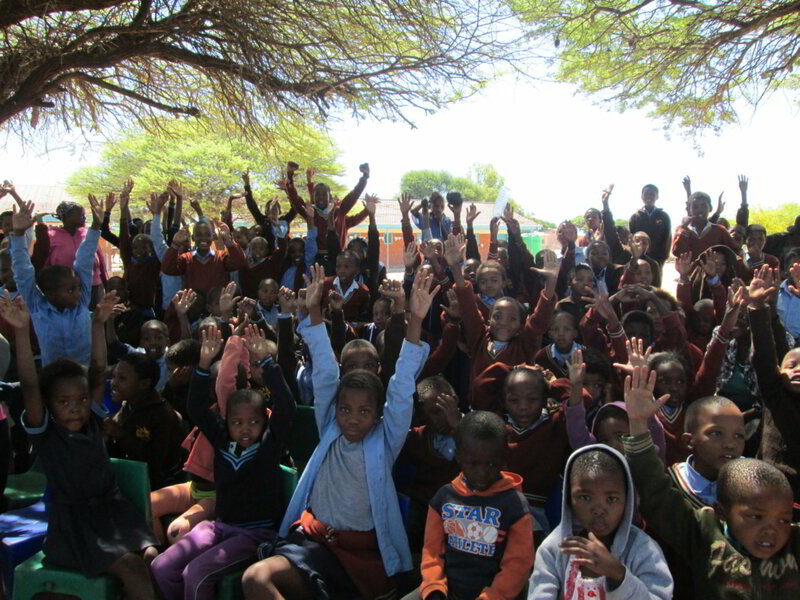 Legae Group decided to aid one of the remotest primary schools in the Kgalagadi, Ukhwi Primary School. 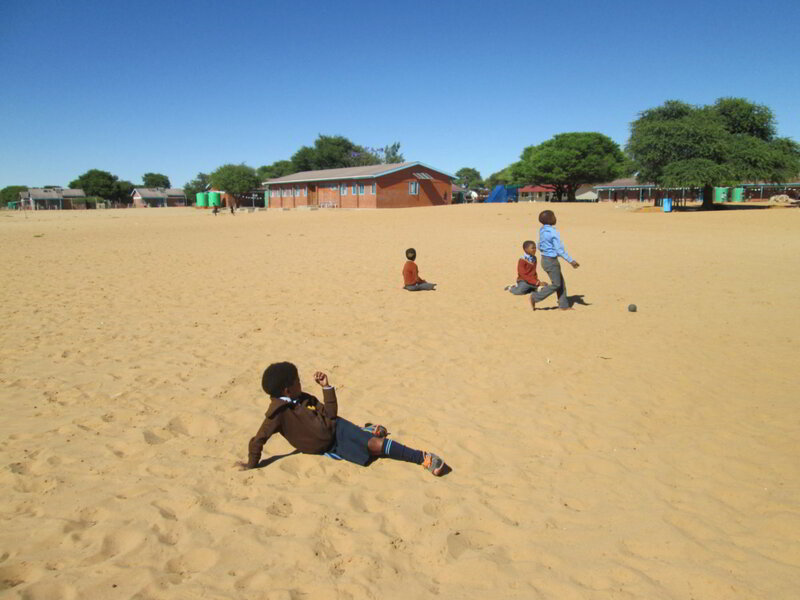 This school is about 900 kilometres from Gaborone. The last 180 kilometres of the road is a mixture of gravel, concrete and sand. In part the driving conditions are very challenging and take three hours to travel that short distance. The final 30 kilometres changes dramatically to deep, red, sandy ruts causing 4X4 vehicles to buck like a bronco – driving speed drops to 20-30 kilometres per hour. Since 2012 Legae Group has undertaken a number of trips to Ukhwi to deliver educational materials, food, clothing and electronic equipment. 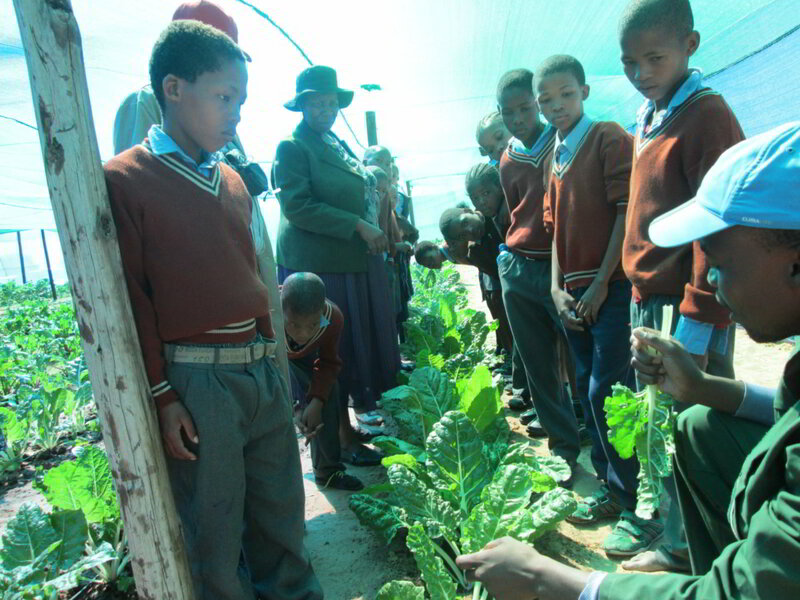 Students from Legae Academy and Legae English Medium Primary School and other interested personnel have run workshops to improve the Ukhwi students’ academic performance and enjoyment of learning, also providing an Agricultural garden and 4X4 vehicle. 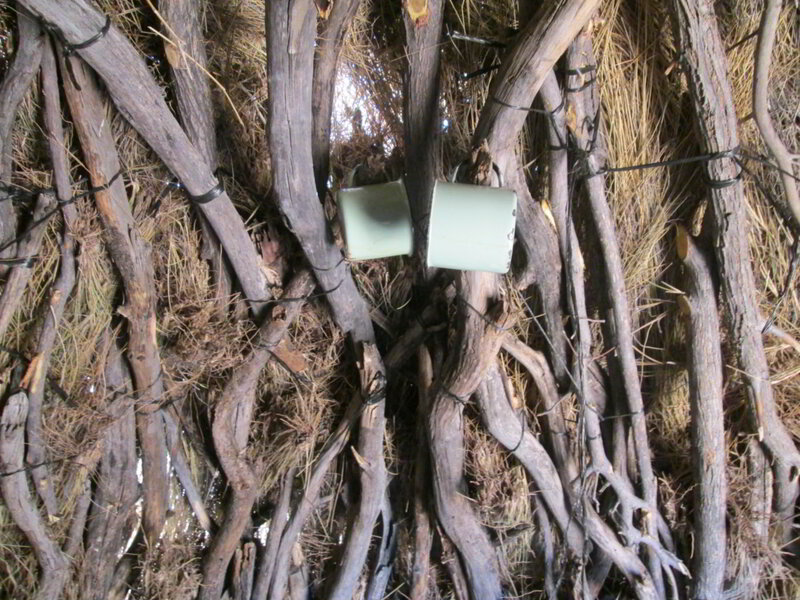 The support given by the Regional Education Officer, the PEO II, in Hukuntsi, the Chief of Ukhwi village, the Headmistress, the staff of Ukhwi Primary School and the Government Agriculture Demonstrators who have given advice on installing a drip watering system has been outstanding. 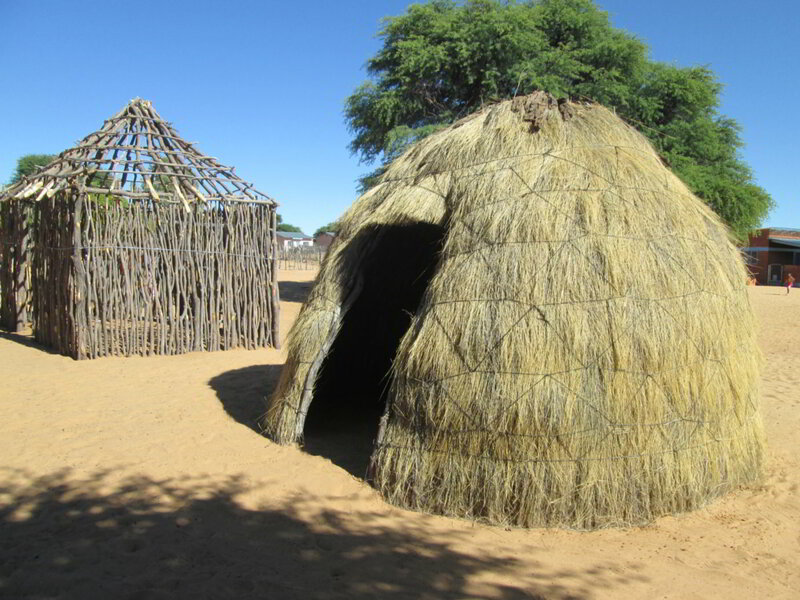 In 2012 and 2013 preliminary trips were made to find out what the educational and social needs were. Much needed stationary, reading material, exercise and textbooks, electronic and support equipment, food, winter clothing and blankets were provided. Basic workshops on Art and on how to use the reading schemes were undertaken. 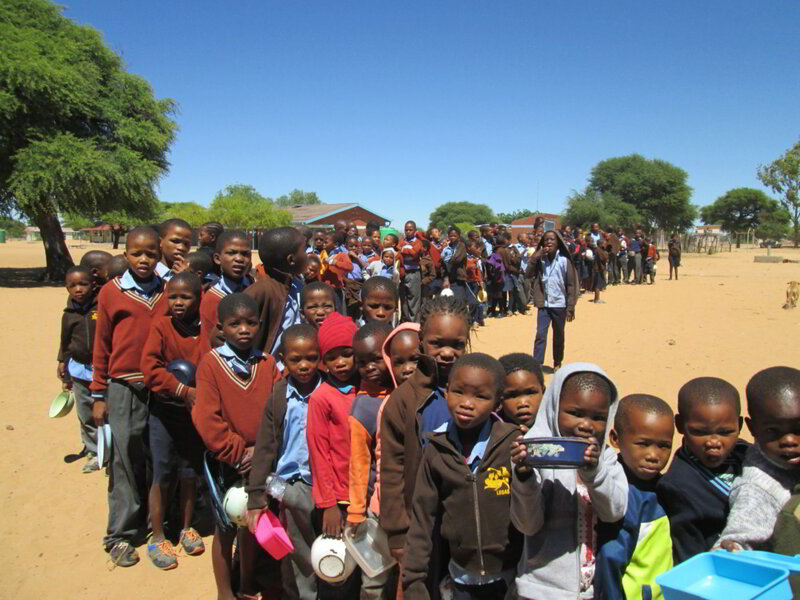 By 2014 most of the Ukhwi Primary Schools basic needs had been provided. 2014 had more trips and the consolidation of the academic programme throughout the school and their social needs. 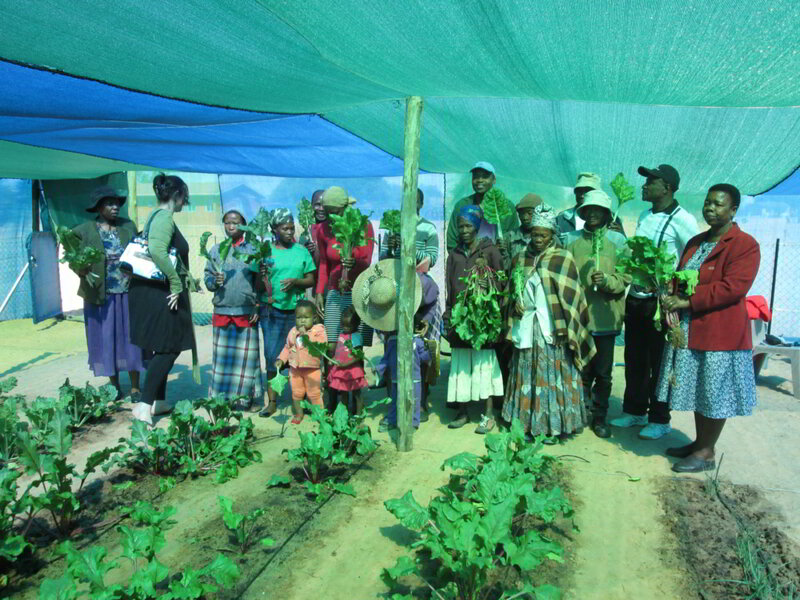 Also, there was the beginning of the Agricultural Project at the school. 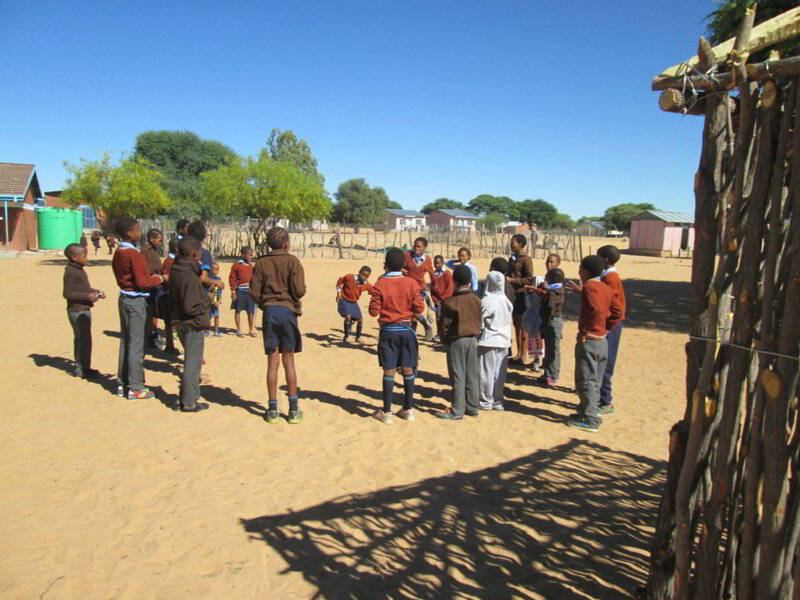 Legae Schools sent a team of 13 members to Ukhwi Primary School. This was a follow on of the teaching workshops started two years prior. 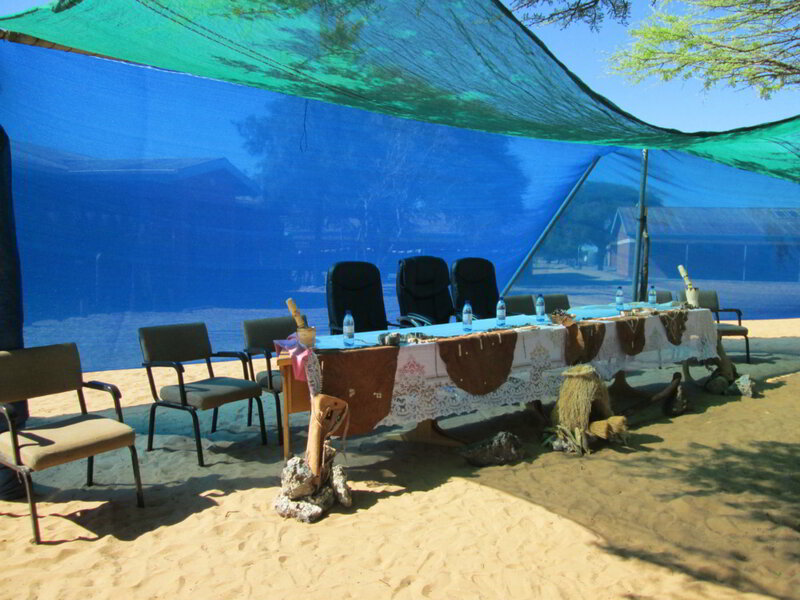 All the teaching and learning materials were prepared in Gaborone in liaison with our counter parts in Ukhwi. This trip included oversight of the school vegetable garden started the year prior. Sweaters, tracksuit tops, shoes and socks were donated by Legae Schools to Ukhwi Primary School. We played soccer and netball against Ukhwi School teams. Towards the end of the trip, we evaluated our time spent in Ukhwi, and were satisfied with our contribution to the education of those disadvantaged children. The vehicle from Legae Academy (L.A.) was handed over by representatives from L.A. to the Principal of Ukhwi Primary School in the presence of the Regional Officer and PEO II. Teachers from Ukhwi Primary School will now be able to have regular trips from their school to shop and take a break. Necessary supplies from Legae Academy and Legae English Medium can be more quickly and easily transported from Hukuntsi to Ukhwi. 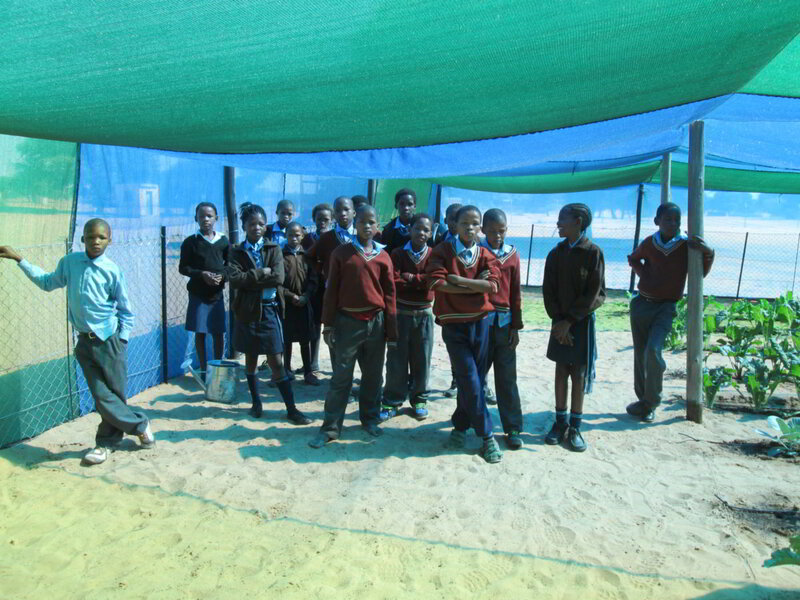 This was a follow up trip by Legae English Medium Primary School of their academic workshops to all students in April. The workshops consolidated the work begun earlier. Legae Academy sent the same Agricultural team, plus 4 extra students to the workshops. The extra students helped the teachers who were running the Primary academic workshops. 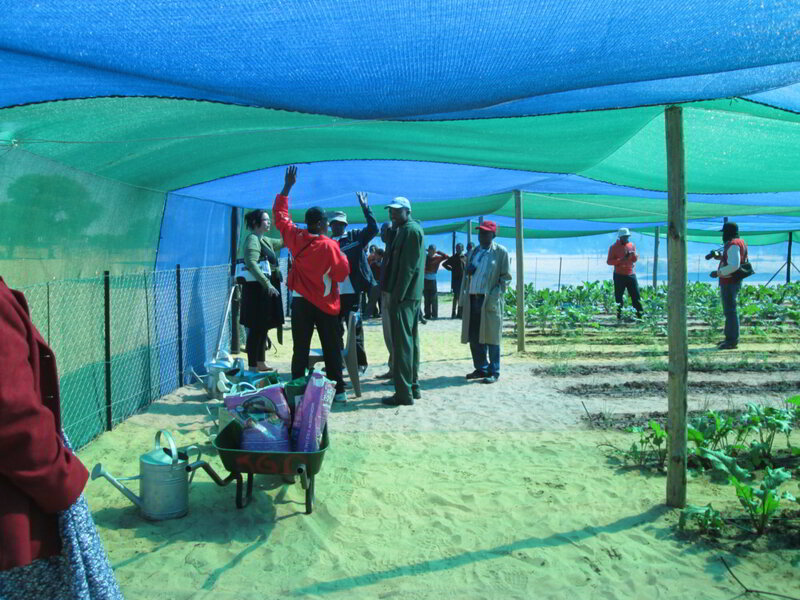 The team put up the shade netting to lessen the sun’s effects and keep out the birds, and also installed the drip irrigation system. 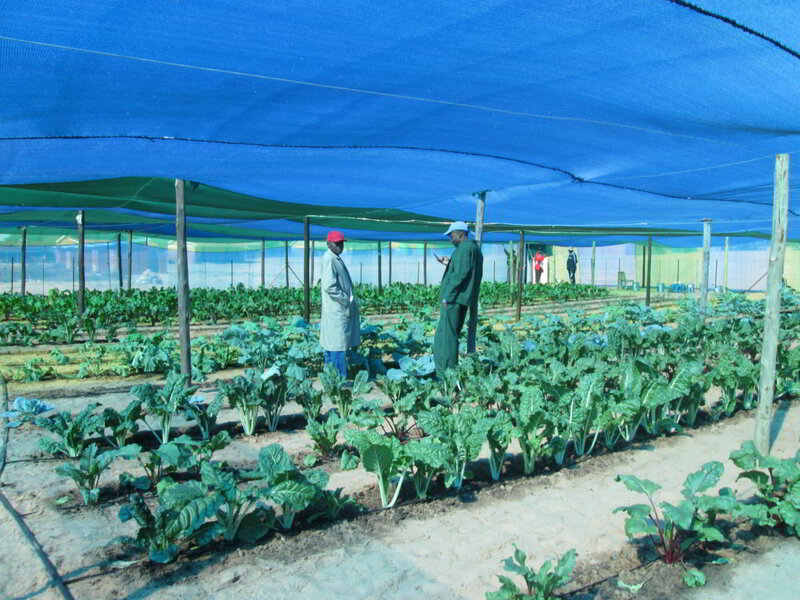 Agricultural demonstrators and others began an Agricultural plot, size 24X24 meters, with fencing, shading, a drip irrigation system and supplied garden tools, vegetables seed, seedlings and fertilizer. 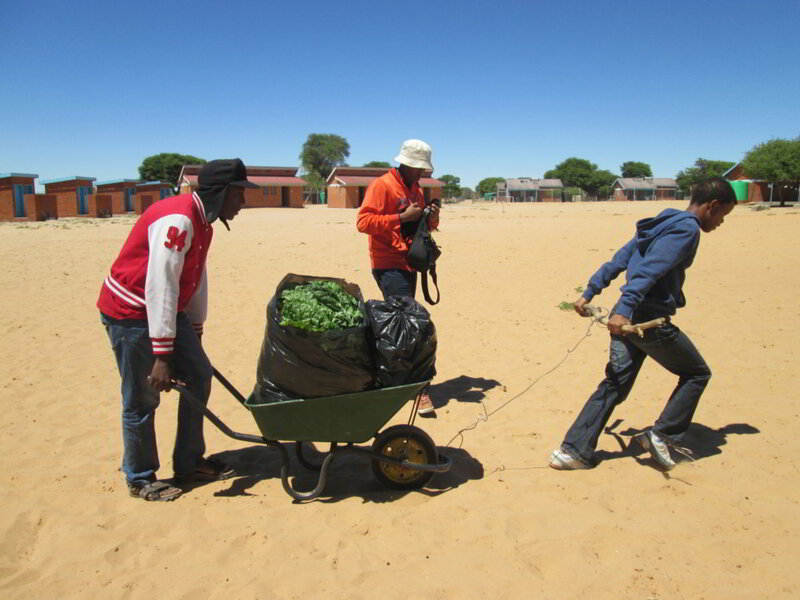 Extra help was provided by staff and students of Ukhwi Primary School. Legae English Medium Primary School teachers ran a reading and writing workshop for the lower standards; Mathematics for the middle standards; Social Studies for the standard 5, 6 and 7 PSLE preparations. 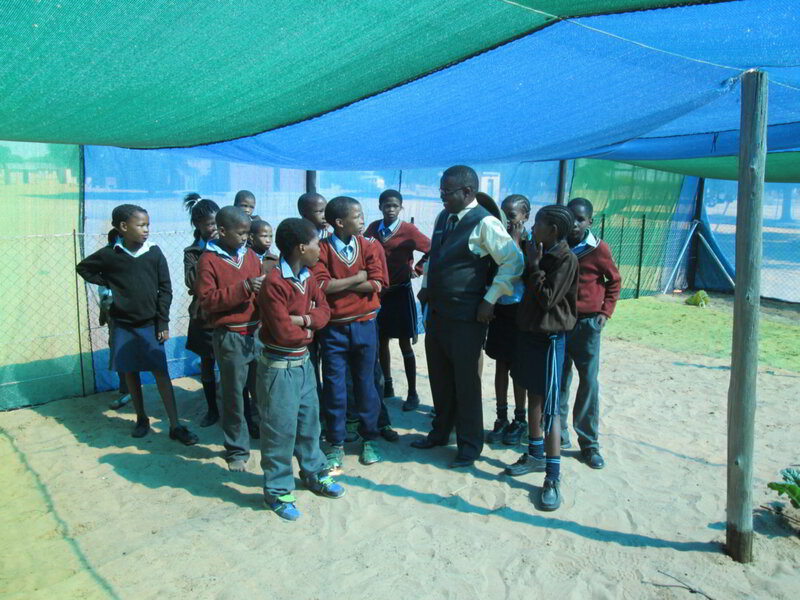 Since April is the start of Winter, T-Shirts were provided for standard 7 pupils, and tracksuits for lower standards. Legae Academy delivered stationary, sports, scientific equipment and food. A creative and musical workshop was organised by the Managing Director Ms. Therese O`Connell and friends.